Subletting and assignments are common for commercial properties. There are a variety of reasons the original tenants cannot keep the space and need to pass on all or some of the obligation to a new business. Some commercial tenants go out of business or find the premises are too small or large for them. It could even be an issue of learning that the space is not as ideal as the business thought it would be when it signed the lease. Whatever the reason for the change, commercial landlords need to understand the differences between assignments and sublets and how their duties differ in regard to these contractual changes. When a commercial tenant wants to sublet its space, this means it wants to bring in a secondary tenant who will use the space for a period of time shorter than the remainder of the lease. A sublet is generally for a specific duration that ends prior to the end of the original tenant’s lease. Because of the specific duration, the original tenant retains a right to re-enter the space. Even though there will be a secondary tenant, the original tenant is still held responsible for the duties under the lease, including rent. If you do not receive your rental payments, you can choose to go after both tenants in order to get paid. You are also still obligated to the original tenant under the lease. Whether or not your tenant can sublet the commercial space depends on your lease. The lease may allow it based on your approval. If you are required to approve a sublet agreement, you should perform basic due diligence to ensure a legitimate business is moving into the space and has the means to uphold the responsibilities under the lease, including paying rent. You can seek rent from the original tenant, but it is better to ensure you will not have to. An assignment is for the rest of the duration of the commercial lease and transfers all of the rights and responsibilities to the new tenant. Your contract with the original tenant will be entirely gone. The original tenant is no longer obligated to you in anyway and has no more rights to that space. It cannot move back in when the new tenant’s lease ends. While the original tenant cannot be held responsible for any of the duties under the lease, you also have no more obligations to that business. 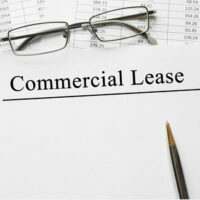 Like a sublease, whether or not an assignment of the commercial lease is allowed depends on the lease. If the lease does not speak to this possibility, then it will depend on Florida law. Generally, you will need to perform additional due diligence before approving an assignment. For a sublease, you know you have the option to obtain rent from the original tenant. For an assignment, you have to be sure the new tenant can uphold all of its obligations under the lease. There is no other party to fall back on. If you are a commercial landlord dealing with a tenant’s sublease or assignment, do not hesitate to seek legal advice from the Law Offices of Larry E. Bray. Our Boca Raton legal team has decades of experience with commercial leases and performing due diligence for these matters. Call us at 561-571-8970 or contact us online to schedule a consultation.